Five examples of bad posture: How they can affect your overall health? You may not know it, but bad posture can affect more than just your appearance while sitting down or standing up. 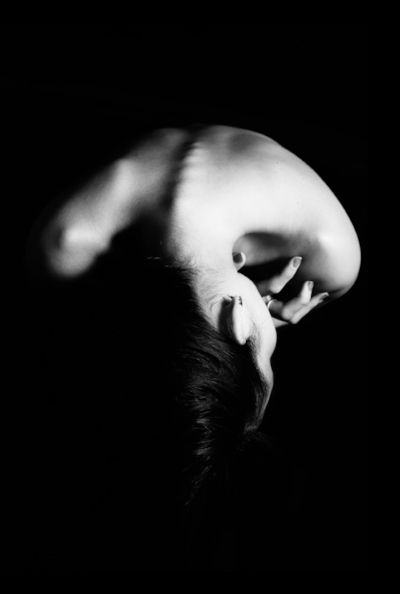 The spine can dictate so much of your mental and physical well-being, and if it’s out of alignment enough, it can lead to much bigger problems than just discomfort or laziness. That added stress is a chain reaction, going from your joints, to the ligaments and tendons, and the muscles and nerves all along that region that is causing your problems. HUNCHBACK with the shoulders pointed forward. Curved-in lower back, also known as LORDOSIS. I lean on one side of the back due to carrying UNBALANCED BACK. Raising or lowering the head too much, often caused by LOOKING DOWN at phones and screens! TILTING THE HEAD to the side for long periods, holding the phone between head and neck. So, these forms of bad posture all seem very familiar, you probably know a person for each one of these, or even multiple forms. The exception to this is usually if that person is an athlete or someone who is a gym-a-holic. The reason being is that any form of bad posture will inhibit your range of strength and motion. Bad posture just places unnecessary stress on the body, especially joints that are already vulnerable to wear and tear. Things could get even more serious, where you start developing arthritis symptoms well before you reach your later years where it is common. When you’re sitting down, there are a few bad habits that can cause your posture to degrade and get all out of whack. It is important that both of your feet are flat on the floor, pointed straight down. Your back should be as straight as possible. The pelvis should also be pointed forward, this insures your hips are within alignment. If you’re at a computer desk, your monitor should be within eye-level and your wrists and elbows should be parallel. Correcting bad posture can be difficult to achieve just from sitting a different way or throwing out old habits. You should really target those muscles that have been neglected and strengthen them to make the transition to proper posture smoother. The two best exercises that can restore your flexibility and strength are Yoga and Pilates. These low-impact exercises are perfect for re-aligning the spine in a safe and effective way. Yoga poses are superb for targeting lower-back pain and neck-related posture issues, while Pilates is the ultimate exercise for strengthening your lower-back, hips, and upper-body. Weak core muscles contribute to the majority of bad posture ailments. Pilates targets all muscles and gives much better support to the joints and, most importantly, the spine. Good posture is not only good for physical health but also your emotional health. Good posture makes you look good and feel good about yourself. Some say that good posture will even improve your chemical balance, as the spine is allowed to transmit and receive signals to the brain much more accurately. Check your posture right now - I bet your body isn't aligned in the best possible way? Let us know which of the above bad postures you can relate to most.